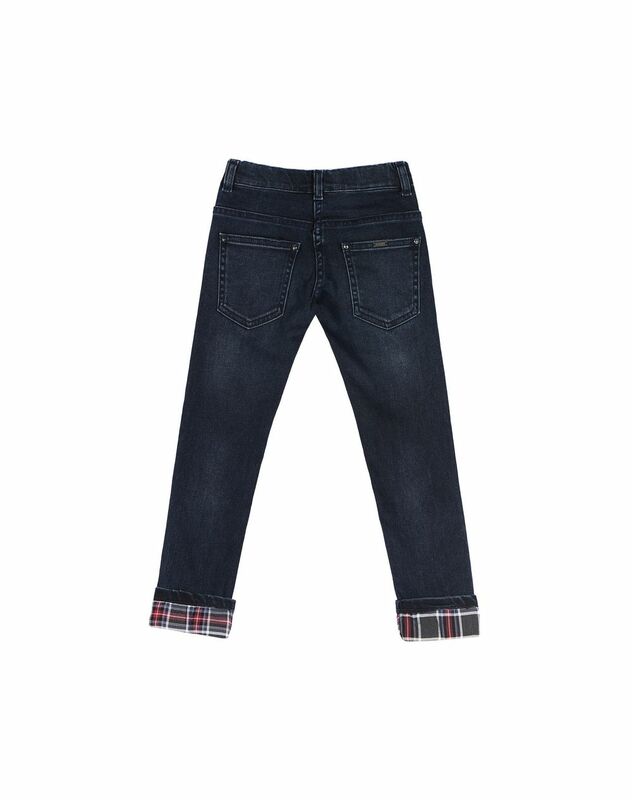 Blue jeans with checkered cuff detail, waist with belt loops, hidden front button placket and patch pockets on the back. 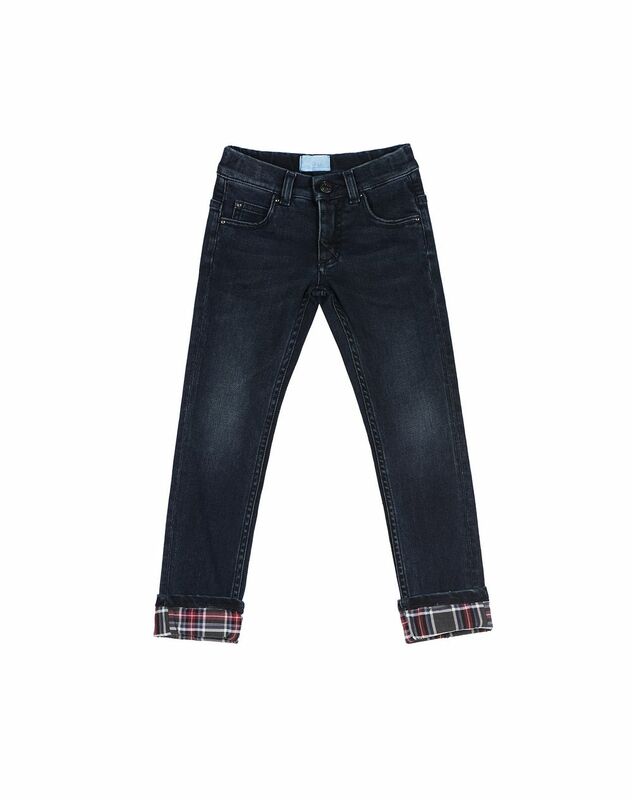 A timeless boy's classic, these jeans are easy to wear and create modern stylish lines. 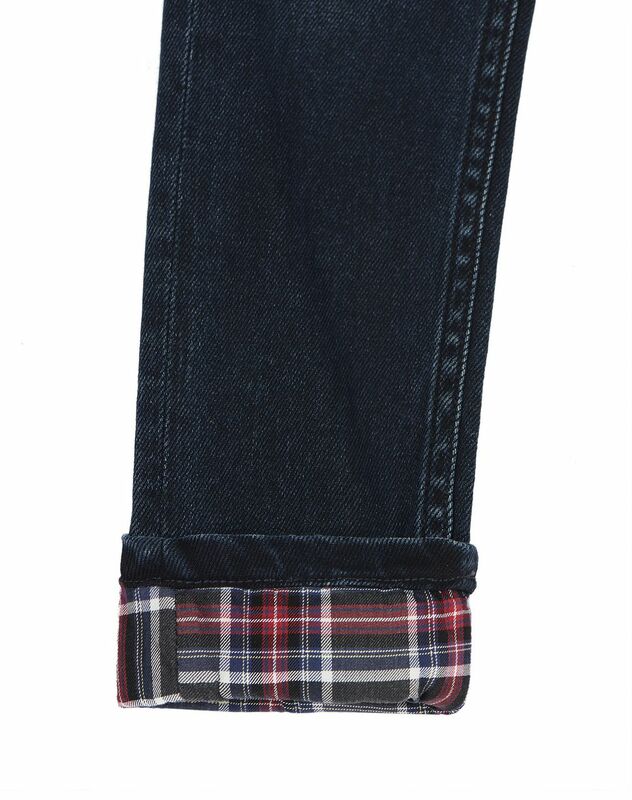 Checkered cuffs makes these jeans even more attractive. 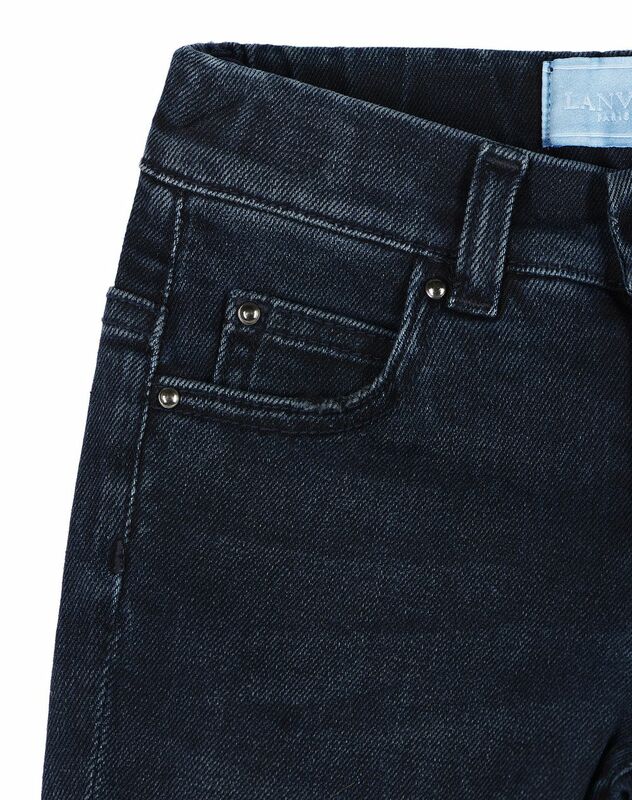 A blend of comfort and fashion detail that's unmistakably Lanvin. 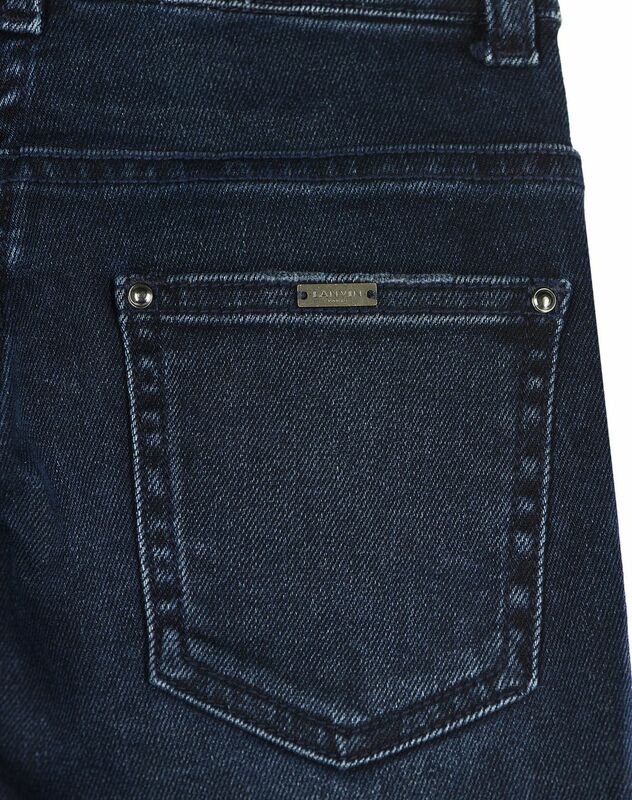 Main materials: 97% cotton, 3% woven elastomultiester. Made in Italy. Care conditions: Machine wash at 30°C. Do not use bleach. Do not tumble dry. Iron at medium temperature. Dry cleaning.